There are always big things happening in the Binghamton University community, many of which capture the attention of national news outlets. Here is a chronological snapshot of some memorable events that have taken place over the course of Binghamton’s history -- just to name a few. 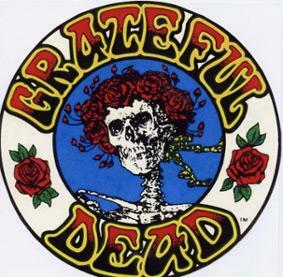 On May 2, 1970, the Grateful Dead performed at Harpur College in what iTunes notes “is consistently ranked by Deadheads as one of the band’s best shows ever.” Crucially, this concert was held after the band recorded their breakthrough album,Workingman's Dead. 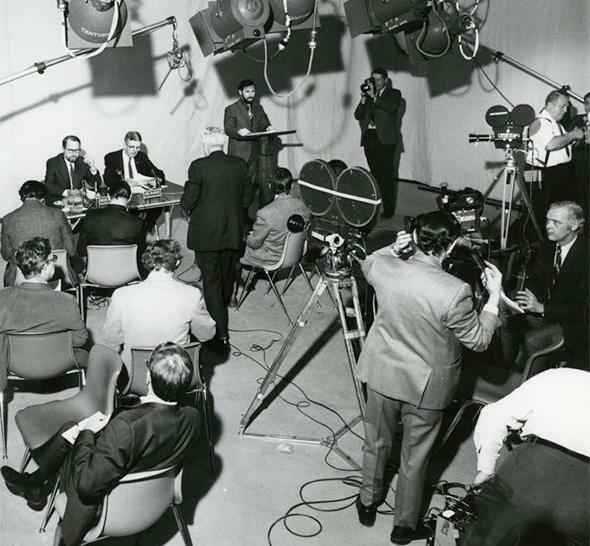 In 1971, chemistry professor Bruce McDuffie garnered attention from news outlets worldwide when he discovered mercury in cans of tuna taken from supermarkets. McDuffie’s findings resulted in the removal of approximately 1 million cans of tuna from shelves. In 1973, We Can’t Go Home Again aired at the Cannes Film Festival. This was the last major project of Nicholas Ray, cinema department professor and noteworthy director of Rebel Without a Cause. 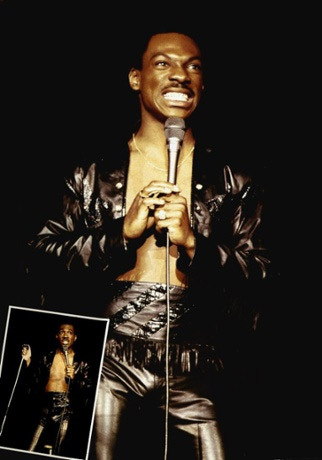 In 1985, on the cusp of becoming one of America’s most successful comedic actors, Eddie Murphy performed a show at Binghamton. 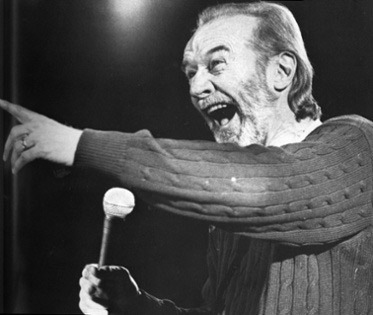 In 1989, comedian, social critic, actor and author George Carlin brought his unique brand of comedy to the University. 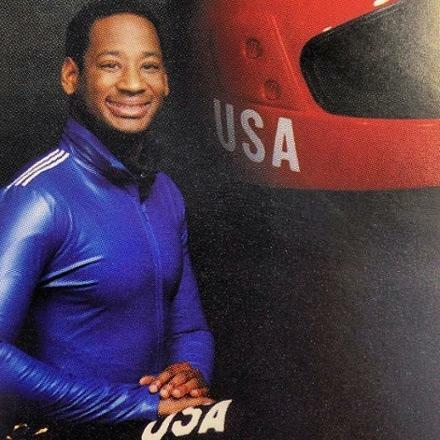 Vestal native and track star Christopher Coleman '89, M.B.A. '93, was part of the USA bobsleigh team in the 1992 and 1994 Winter Olympics. 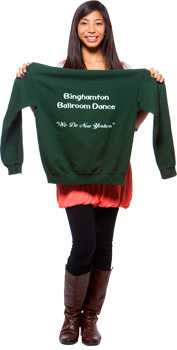 Learn about other Binghamton alumni. 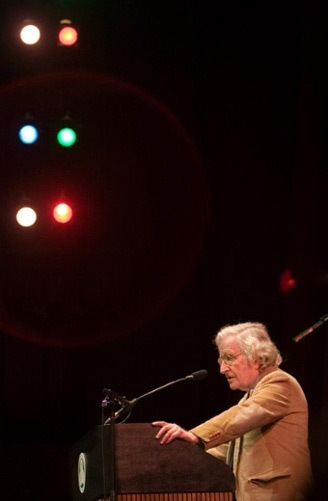 On March 4, 2006, linguist Noam Chomsky delivered a talk titled “Imminent Crises: Paths Toward Solutions” in the Anderson Center’s Osterhout Concert Theater. 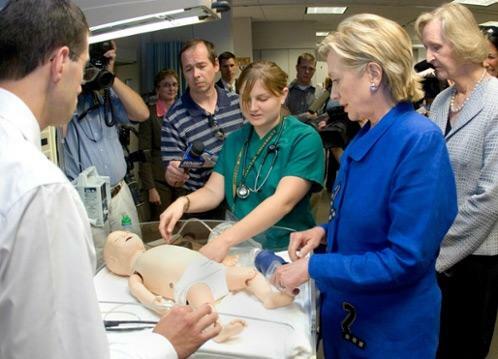 On July 16, 2007, Hillary Rodham Clinton visited the Decker School of Nursing to address nursing shortages in rural America. In 2011, hundreds of Binghamton staff and students volunteered and joined with the University to aid more than 1,800 area residents evacuated due to flooding. 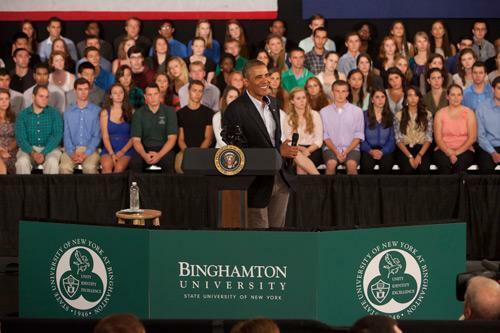 On Aug. 23, 2013, President Barack Obama unveiled his “Making College More Affordable: A Better Bargain for the Middle Class” plan in the Mandela Room.